Earth is like a supercharged Google Maps-. You can zoom in and out, browse different layers of geographical information, search for sites, businesses and cities, pinpoint your GPS location, and so on. Google Earth, however, takes all this a step further, with Wikipedia layers, stunning 3-D renditions, and a “look around” mode, which lets you rotate around the horizon from your chosen viewpoint. Once in look around mode you can toggle it off to move about the landscape at that elevation. Tapping the compass brings you back to satellite view. Google Earth is a lot of fun to play around with but you may have to delete other apps to make room for it to install and run properly. Keep an eye on your battery levels too. Turns your phone into a window on the night sky. Simply point in the direction of a star or constellation to find its name. You can toggle layers to view stars, planets, grid lines, the horizon and “Messier objects”. 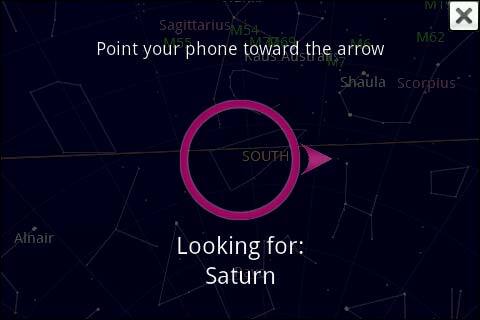 If you’re looking for a particular celestial body, type its name and a pointer will guide you around till you find it. For more astronomical tomfoolery, check out Celeste and Deluxe Moon. 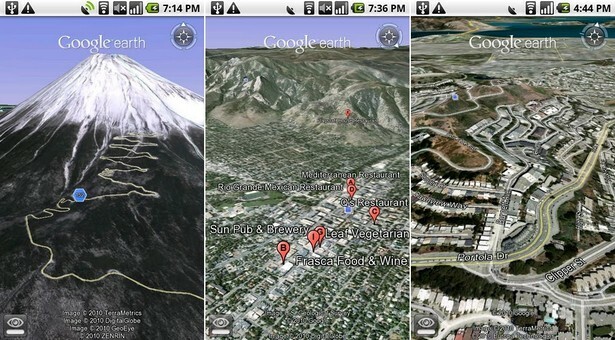 Google Sky Map uses your phone’s GPS, compass and accelerometer to pan across the cosmos as you move your phone around. Can’t find your home planet? Use the search function to point you in the right direction. An informative reference app that provides a neat interface for browsing collated information from the CIA World Fact Book and United Nations data and statistics. You can browse or search by region, country or rankings, compare one country to another, and view detailed info and stats on any country in the world. Turn your phone on its side while reading about a country and your screen switches to a slideshow of images fetched from Flickr. FactBook is available for free, or for $2.99 without ads. Want to test your newly acquired knowledge? Try GeoQuiz. Keep the cogs turning with this gentle mental workout. 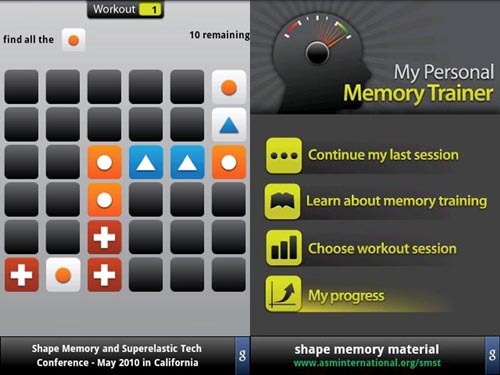 The app runs you through a series of simple tests, gradually increasing difficulty to task your working memory, “chunking” (your ability to break up information into more manageable chunks), spatial memory, focus and concentration skills. Exercises like these, performed daily, are meant to help improve the memory, and even reduce the risk of Alzheimer’s disease. It certainly won’t do you any harm. For more brain training, try Math Workout and Ringz. Trippo Mondo is a lightweight, reasonably powerful language translation tool. Type in a phrase and it’ll bounce it back at you in any of the thirty supported languages. It’ll also speak translations for you at an adjustable speed, with relatively accurate pronunciation. Pressing the little blue envelope button lets you share text translations via email, SMS, or any of your synced social network accounts. For voice-to-voice (as well as text-based) translation, try Google Translate or one of the individual BabelFish Language Packs, available for free from the Market. Trippo Mondo’s accuracy is about what you’d expect from an automated translator; it works best for short phrases. An addictive and (kind of) educational(ish) game that starts you off with the four basic elements of fire, water, earth and air. You drag these around to combine them with each other to make new elements, and then drag those around to combine into other elements. Eventually you’ll begin to make more and more complex forms – life, algae, electricity, vampires – where will it end? Dragging any of these elements into the question mark icon reveals an encyclopedia entry for that item, replete with Wikipedia links to additional information. Educational after all, then. 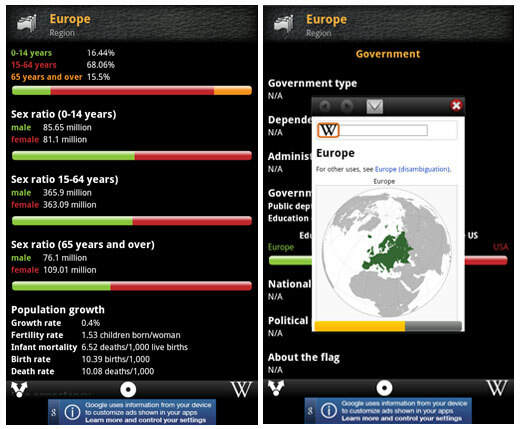 One of many Wikipedia viewers out there, Wapedia is fast and well presented. What more could you ask for? Well, for starters, from the home page you can search or browse by category, what’s in the news, popular content or random articles. The search bar auto-populates with suggestions as you type, so you’ll rarely need to enter your full query. Articles are well formatted for mobile viewing, but if you don’t like what you see it’s fully tweakable. If you need to, you can switch from Wikipedia to a host of other wikis for reference, entertainment, humor, games, health and so on. 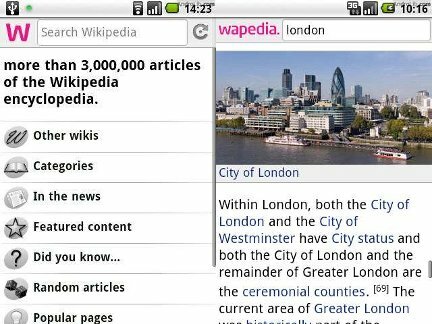 Instant access to Wikipedia’s millions of articles with a minimum of fuss, and it provides a handy search widget for your home screen, too. 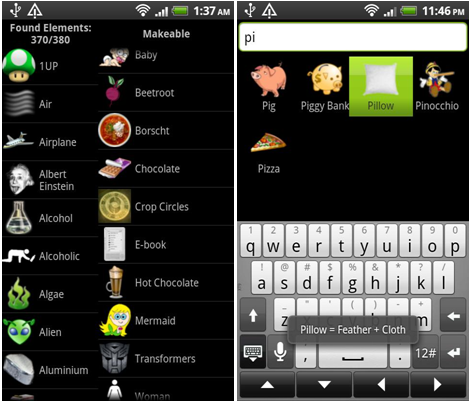 So guys, do you know more Education Apps for Android ? Let us know via comments below.